Edible Arrangements is sick of only being a Mother's Day gift. Now, its new CEO wants to convince shoppers it's a smoothie-and-snack chain. Edible ArrangmentsEdible Arrangements is trying to build up its snack business with smoothies and ‘doughnuts’ that are actually chocolate-covered fruit. Edible Arrangements’ new CEO, Mike Rotondo, wants snacks, like smoothies and chocolate-covered fruit, to make up at least 25% of the gift-basket chain’s sales. Rotondo says Edible Arrangements has battled “wannabees” who have cut into the chain’s business selling fruit baskets as gifts. 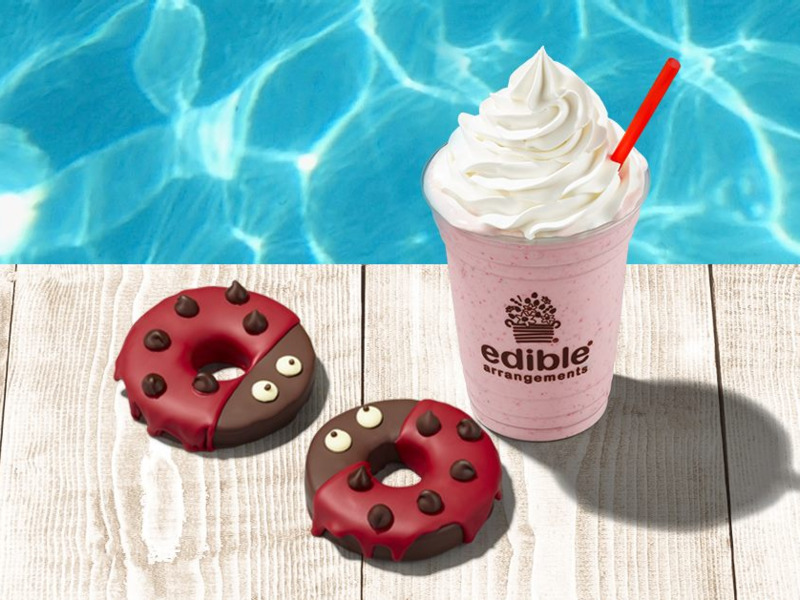 Now, Edible Arrangements is pushing new store designs and marketing to convince customers that it is actually a snack chain in addition to a place to order gifts. Edible Arrangements is sick of being seen as only a gift for Valentine’s Day, Mother’s Day, or birthdays – and the months of slower sales that come with that restriction. Now, the company has a new solution: convince customers that they should stop by stores to get snacks all year round. In July, Edible Arrangements announced it had hired a new CEO, Tropical Smoothie veteran Mike Rotondo. 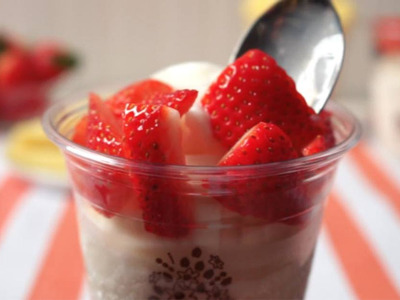 Rotondo told Business Insider in an interview that his goal at the company was to turn around the 1,200-location chain by selling more to-go snacks, such as chocolate-covered strawberries, smoothies, and fruit salads. Edible Arrangements has been offering to-go snacks for more than a year already. It’s something that few customers realise, which creates some problems for franchisees trying to boost sales. “I can’t tell you how many people can’t tell you that we have that kind of a store-front presence,” Rotondo said. Edible Arrangements stores are typically located in strip malls and near shopping centres, Rotondo said. 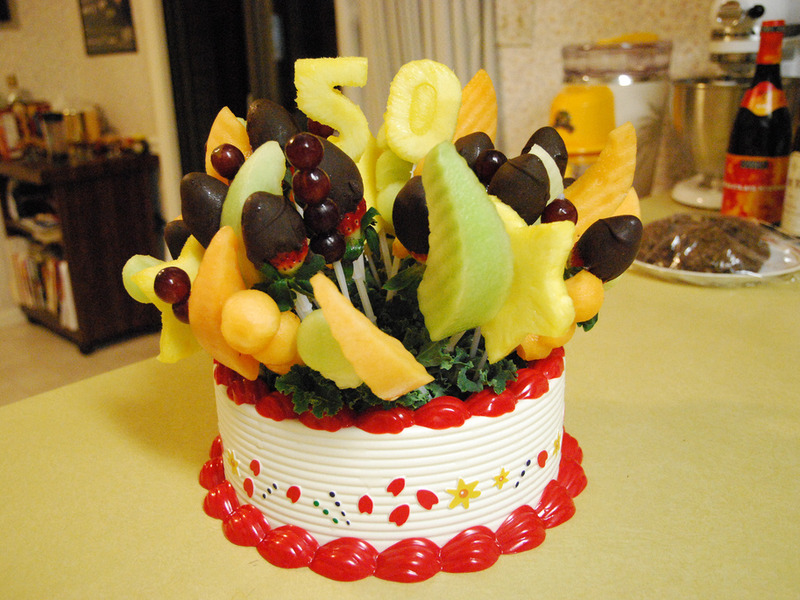 The issue is that people don’t tend to think of Edible Arrangements as somewhere they would stop to shop in-store, so their eyes slide right past it. “We’re right there, but it’s one of those things, if you’re not looking for us for that, we’re just part of the scenery,” Rotondo said. However, Rotondo acknowledges that some locations aren’t really snack-business-ready. Edible Arrangements has built its business on gift-basket orders since it was founded in 1999, meaning many locations are optimised for the to-go business. That means a number of shops with weaker sales numbers could end up closing up as leases expire if they aren’t in locations that are ideal to drive foot traffic, Rotondo said. He added that franchisees would likely have the option to reopen locations in places with more foot traffic if that were the case. slgckgc/flickrMore traditional Edible Arrangements’ fare. Rotondo believes that boosting the snack business can not only increase sales, but also help build customer loyalty towards Edible Arrangements over other gift-centric chains. However, others are sceptical. Prior to Rotondo’s hiring, two franchisees (one current and one former) who spoke with Business Insider on the condition of anonymity said that past efforts to grow snack sales had been disappointing and only succeeded in draining franchisees’ funds. Rotondo says that his biggest challenge as CEO is getting franchisees on board with changes. So far, he says, people are supporting the idea to add to-go snacks. The chain is going to put in more work to test products and make sure there is a return on investment, as well as develop products that won’t require a major investment from franchisees. New store designs are being tested, and new locations are being built in areas with more foot traffic.